Summer in the city brings music festivals, rooftop soirées and amazing produce to your local farmers market – if you can get up early enough to snag it. And chefs, they’re just like us. 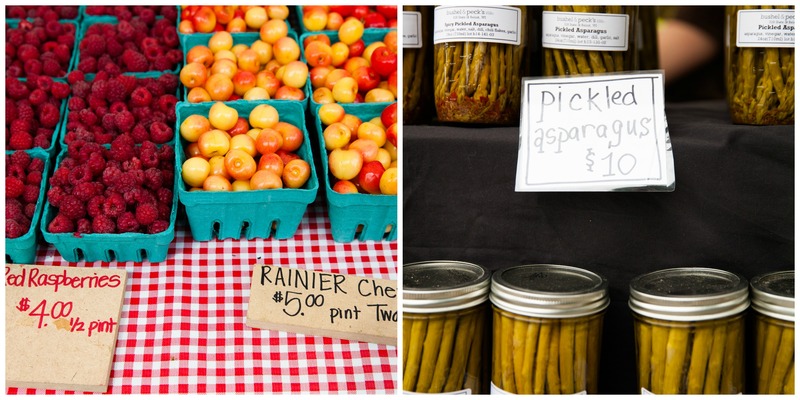 Visiting their local farmers markets provides research and inspiration on what may soon grace their menus this season. 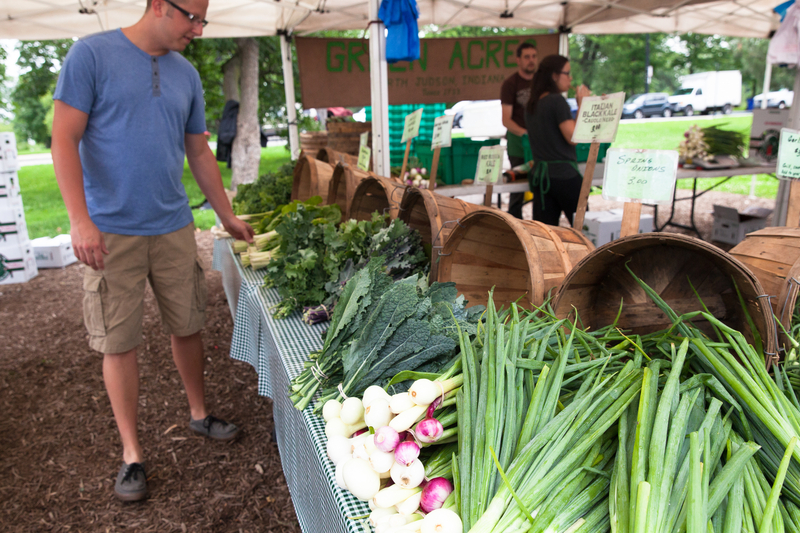 Mon Ami Gabi’s Executive Chef Andrew Shedden is fortunate enough to have one of Chicago’s longest-standing farmers market, the Green City Market, right in his front yard. With a fresh delivery coming to his restaurant daily from our friends at Green City Market, Chef Shedden and his team prepare to celebrate Mon Ami Gabi’s 17th Anniversary this year utilizing his finds into their seasonal dishes. 1.) First, do a lap: “Let the market guide you.” Take a lap around the farmers market for inspiration. TIP: Whatever produce you find to be the freshest should be the center point of your dish. 2.) Try something new: Experiment with new ingredients and ways to prepare them. Rhubarb, which is coming to the end of its harvest, is a good one. It’s a vegetable (yes, a vegetable) that is treated like a fruit. TIP: In addition to desserts, rhubarb pairs well with chicken, lamb and pork. 3.) Look for produce at their seasonal abundance: Chef Shedden changes Mon Ami Gabi’s specials every Thursday based on seasonal ingredients. From now through July 8, Mon Ami Gabi is featuring a Brioche Crusted Halibut with Swiss Chard from the Green City Farmers Market. Check out the dish here. 4.) Inspect first and taste for quality: Take advantage of the samples to gauge freshness and flavor. TIP: Judge the farm by their greens. You can tell how well they treat the rest of their farm based on how good their greens look. 5.) Ask questions and get to know your farmers: “It’s all about the relationships with your local farmers.” TIP: Most farmers are very proud of their farms and want people to come see them, so say hi and maybe even ask for a farm tour. 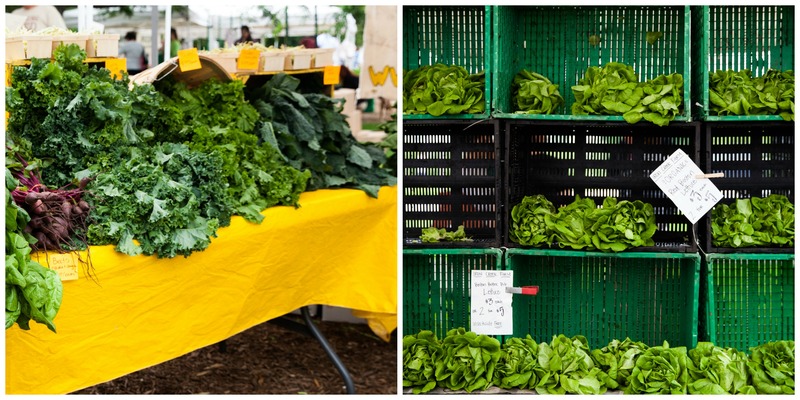 Next time you take a trip to the farmers market, keep an eye out for Lettuce chefs and restaurant managers who are always on the hunt for the best seasonal ingredients to incorporate into our menus. Happy shopping!